Here Are 9 Awesome Mayan Foods You Should Try! Food is awesome. That is a fact that is not up for debate. Anyone, even the strictest of dieters will tell you that food is great. Mayan food, arguably more awesome and we’ll get into WHY shortly. In the era of globalization, it’s made even better because you don’t need to be restricted by the foods you grew up eating. Instagram, Pinterest, and Snapchat give our friends (and really anyone) the perfect conduit to give everyone who dares to look some foodspiration before our good friend google tells us where to get, or how to make some of it! How often do you stop, and ponder on where this food came from, or better yet – who even invented it? The answer is probably not often, and who could blame you? If it tastes great you have no time to stop and get philosophical about it. 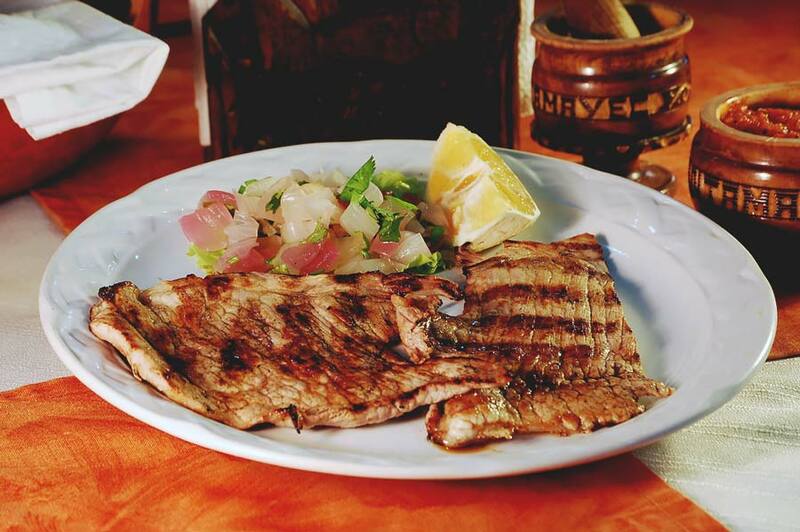 We’re here to take that load off you; check out our list of Mayan Food you absolutely must try! Signs on counters at Subway in Mexico say that if your sandwich technician doesn’t offer you extra Guac, your sub is free. Who want’s a free sub that doesn’t have guac anyway? 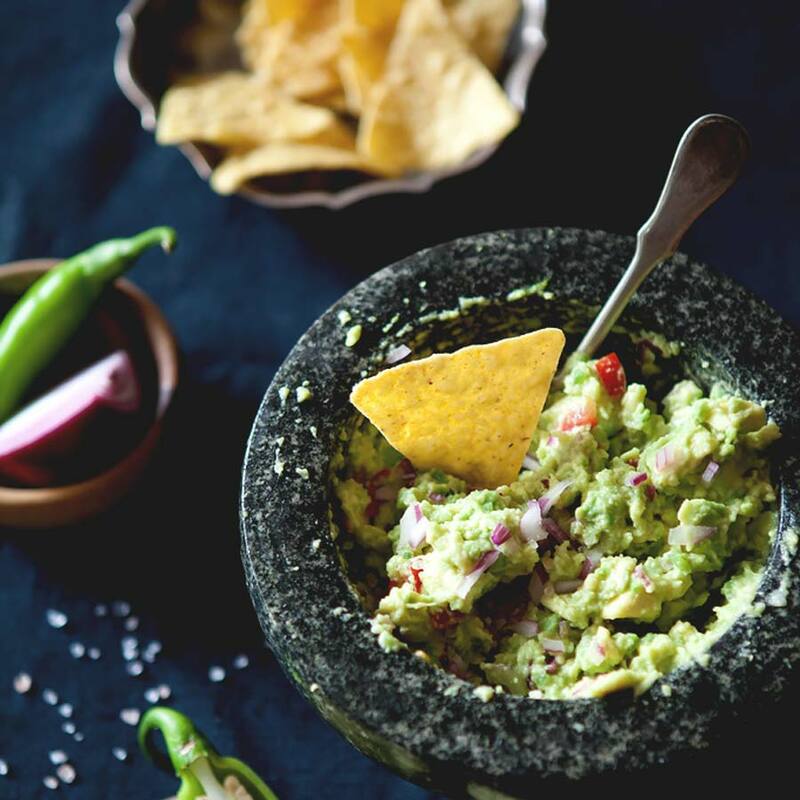 Guacamole Was invented By the Aztecs and Maya of the ancient world. The name in their languages literally just meaning “avocado sauce”. Aside from the health benefits people love trumpeting about Avocados, Guacamole is delicious. Buttery, tangy salsa goodness is probably the best and worst ways to describe guacamole. Today it’s synonymous with Mundo Maya cuisine as it’s been integrated it into everything and a variety of avocados that produce all year instead of seasonally has been bred! We simply must thank the original inhabitants of these lands as they invented a sandwich spread, dipping sauce, taco garnish and all day snack that’s become popular everywhere! Ahh, Chocolate, probably the world’s favorite treat! There’s an interesting history behind this sweet, melt in your mouth chunk of heaven. It all started a really long time ago in Central America. 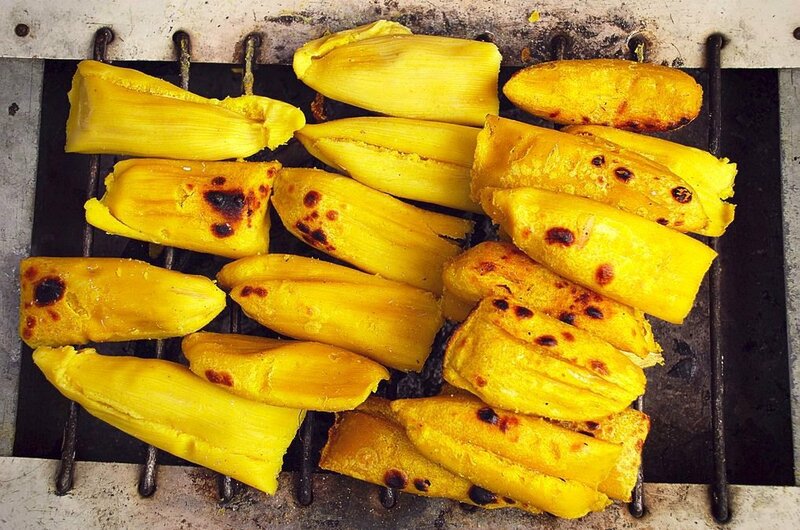 The locals found these oblong fruits and through what we must now assume as trial and error, found that they could roast the seeds, grind them up, mix in some spice and make something that was the envy of everyone for quite a long time! 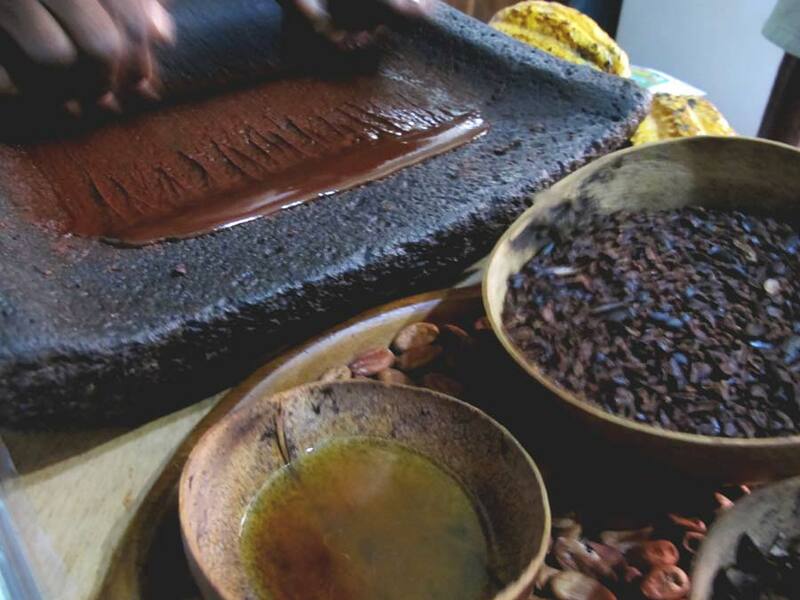 Maya, Aztecs and even Olmecs used Chocolate beans as currency, they made out of it Xocolatl, a drink literally thought to have been sent from the gods to give power and gave it only to their most elite. Fast forward to Europe where the bitter spicy drink was turned sweet, then again into an edible bar, to now, where people put chocolate in literally, everything. Kudos to ancient Central Americans for this awesome Mayan food! Check out this blog on chocolate to learn more about it! Do you like tacos? Trick question – the only right answer is yes. If your answer was indeed yes, then by extension, you like tortillas, because without tortillas a taco would simply be a pile of meat and salsa sitting on a plate. 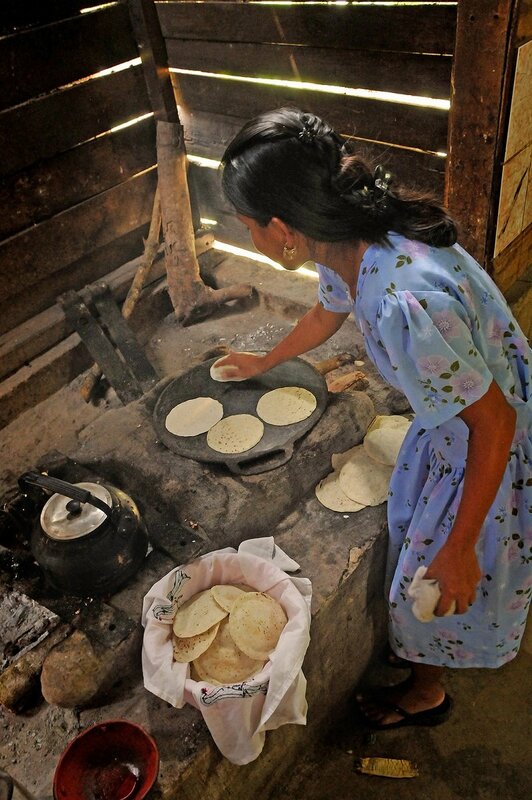 Corn tortillas were a staple of the Mayan diet as their most abundant crop was corn. The kernels are stripped from their cobs, ground into a paste, kneaded with water into masa -essentially corn dough- and formed into delicious little disks then roasted over a flame. Tortillas are both a perfect vehicle and accompaniment to many foods. At some point, someone decided to start frying tortillas which gave rise to tortilla chips – that thing you scoop your guacamole with – or entire fried tortillas topped with any number of things and dubbed tostadas. As this side of the world’s replacement for bread, tortillas are versatile and over time people have become quite creative with their uses for them! A moment ago we mentioned that corn was a staple of Mayan food. This next entry serves to further solidify that fact. Meet, El Tamal. A tamal is like a corn hot pocket, it’s made of -again- ground corn that’s kneaded into masa, cooked and then molded around the maker’s choice of meat, then wrapped in a banana leaf and steamed until firm. 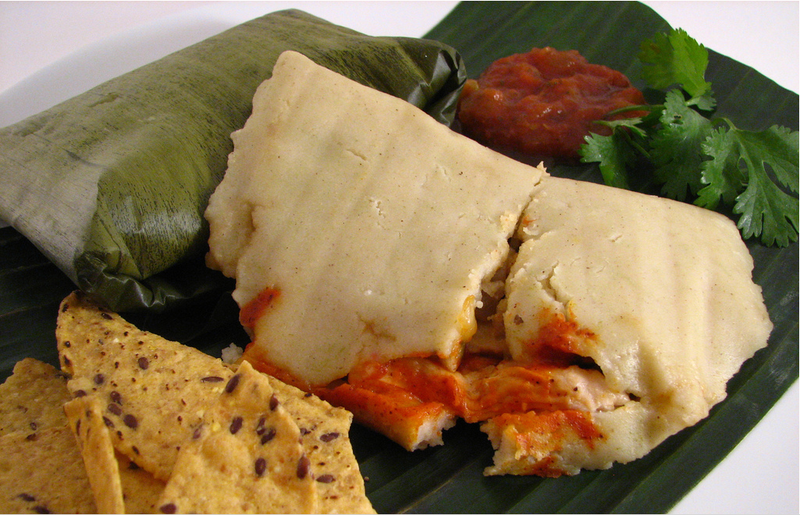 There are variations of tamales all over Belize, Mexico, Guatemala and the rest of Central America. Traditionally, the Maya filled them with cooked game meat or whatever they hunted. These days the possibilities are mostly limited by your adventurous palette, though chicken and pork remain the default favorites for these tasty corn patties. In reality, it’s hard to say what a tamal is in classification – patty, hot pocket? etc- so we shall tat this opportunity to make it its own classification of awesome! Not to be confused for tamales (in Belize at least) these awesome little corn *Tamales* are different in that the corn isn’t made into masa then cooked, it is ground up as is and stuffed back into corn husks then steamed. These scrumptious morsels are often lightly spiced, and sometimes have shredded habaneros and maybe even chicken in them! Meat or no meat is strictly a preference thing, as vendors usually carry both, a bonus to tamalitos; they’re vegan! Back in the days before refrigeration, ice was never a thing in the sub-tropics. So, what would you do with a boar that your small village couldn’t eat all at once? Well you preserve it in salt of course! This particular style of grilled meat gets its distinct flavor from the salt preservation and the sour orange juice it is later marinaded. While we don’t need to salt cure the meat anymore, the marinade is so popular it’s used today. The name translated from Yucatec Maya literally means “roast” and “coal” and we can all imagine why. Why would anyone call this pretty something so offputting? Well, in Maya “Xni Pec” literally means dog nose. 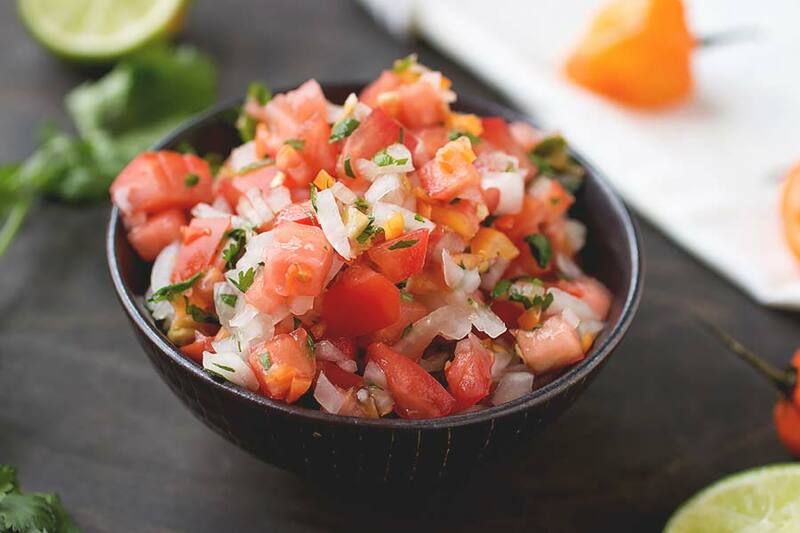 That is because, if you look carefully – this isn’t your regular “pico de gallo” salsa. Those orange specks everywhere are actually ripe habanero peppers. Anyone who’s enjoyed the sting of an habanero pepper will tell you that it is a sinus cleanser, and hence, the name of this topping. The Maya related their runny pepper-attacked noses to the moist nose of a dog. We’re not sure if they were a very literal people or a very humorous people, but what is for sure is that this salsa is way better than its name lets on! 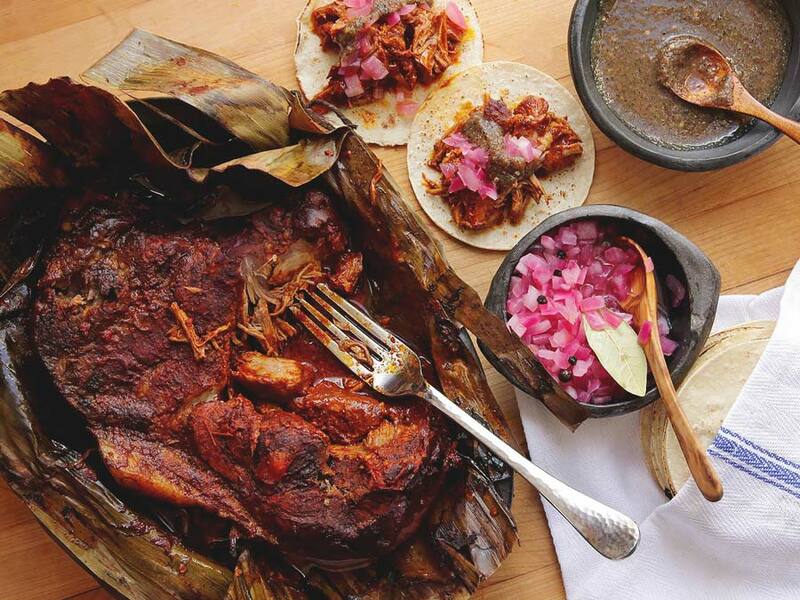 Another awesome food the Maya invented comes from the Yucatec again; cochinita pibil or puerco pibil. 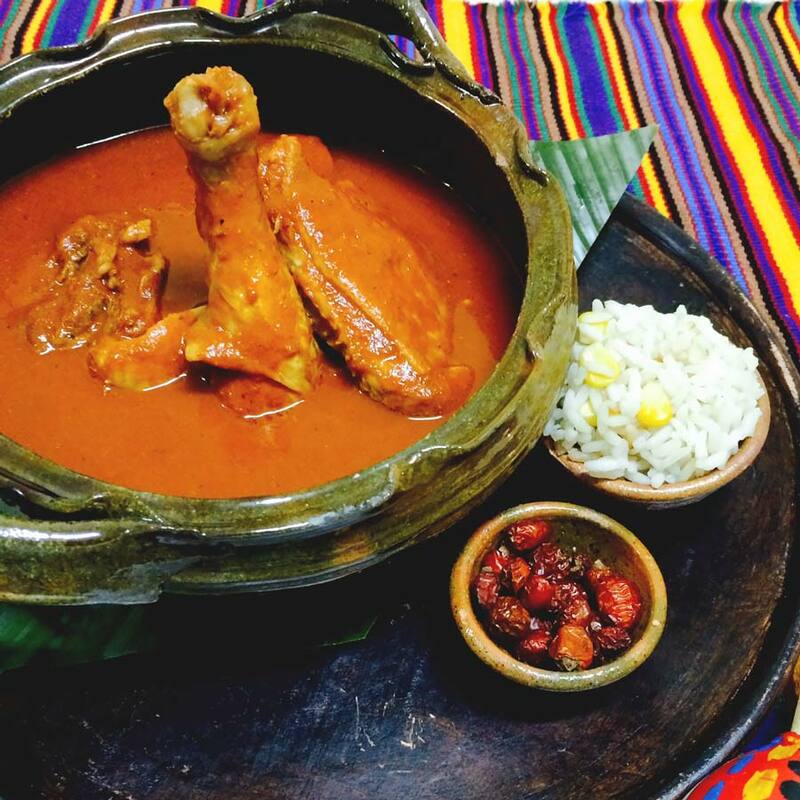 In Maya, Pibil means buried and that is exactly how this dish is prepared. The meat, most often pork -because you can make pibil from anything- is marinated with the juice of a Seville Orange and annatto. That distinct orange color comes from the annatto and other than the heavenly smell is what makes it instantly identifiable. After the pig is marinated, it’s wrapped in banana leaves and placed in a pit with coal at the bottom. The coal essentially smokes and pressure-cooks the meat as the entire set up is covered with dirt for a few hours while it cooks. Pibil can be eaten any way you like. Over or with rice, on its own, or as tacos (a Belize Travel Blog personal favorite). Subanik is a ceremonial Mayan stew. When there was Subanik, you know whatever was going on had to be a big deal. The suffix ‘-ik’ serves to indicate that peppers were an important part of the mix, along with various meats this dish was traditionally served up in a bowl lined with a banana leaf for presentation. Popular accompaniments for Subanik were rice and -you guessed it- tamales, a meal fit for only the biggest celebrations. You know something has to be good when it’s survived hundreds of years relatively unchanged. 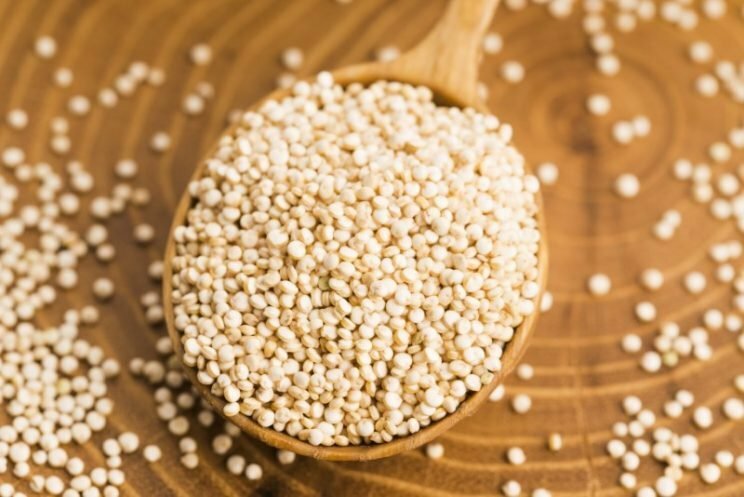 Yup, quinoa, that recently “discovered” superfood all the hipsters are fawning over. Quinoa is great, quinoa salads especially! But it’s by no means new. Now, this isn’t one of the Mayan inventions, it’s actually from the Inca of South America but interestingly enough it was actually a major part of their diet. Isn’t that just cool? Next time you fire up a pot and set your quinoa to a boil remember the ancient world. The Maya people were truly an incredible society; complex mathematical system, accurate astrology, a sacred detailed calendar, and apparently, they were pretty fab cooks as well! We hope you liked our list of 9 awesome Mayan foods, and one from the Inca! For some great Belize food recipes, click HERE. How many of these Mayan foods have you tried? or which is your favorite? Let us know! Best Winter Vacations – Incredible Belize Flight & Accommodation Offers!